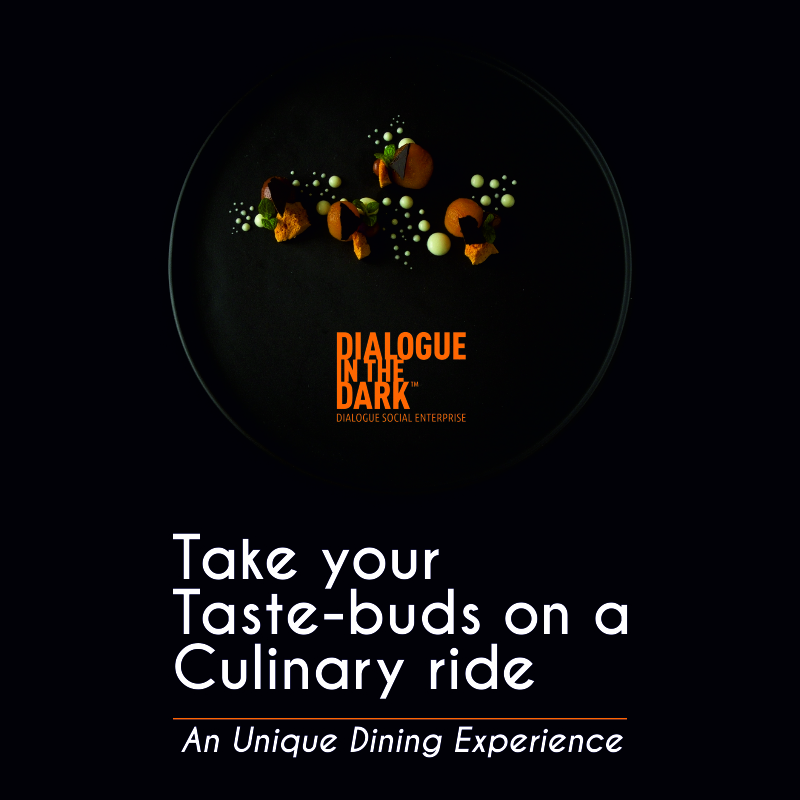 Dialogue in the Dark presents Taste of Darkness (TOD) India’s only dark Restaurant, where a pre-plated surprise meal is served by blind waiters in complete darkness. It is an adventurous way of enjoying food with a social impact message as a take away. Taste of Darkness is a global concept which has won many accolades worldwide and in India. Rated as one of the top 50 experiences one should experience in a lifetime by Forbes and is also top rated and highly recommended by travel and food websites. Taste of Darkness’s unique dining experience has made it one of Telangana's must visit destination for the locals and has attracted many tourists across India and globally. Dialogue in the Dark is a globally acclaimed experience that pushes you out of the comfort zone orienting you to a world without pictures. Presented across 41 countries and has been visited by more than 9 million visitors worldwide. Dialogue in the Dark works towards raising awareness for diversity & inclusion of Persons with Disabilities. The experience helps to overcome false sympathy, prejudices and stereotypes. In “Darkness” interest replaces ignorance, and lack of understanding changes into empathy. 3rd Floor, The Plaza Hotel, Begumpet, Opposite Lifestyle, Hyderabad.